Nordes 2019 | Nordic Design Research Society Conference 2019 - Who cares? This question is a provocation for design research. What do, or should, we care about in design and design research today? Underpinning the question are issues of culture and agency – who cares, for whom, and how? Taking care, or being cared for, evokes the choice of roles, and processes of interaction, co-creation and even decision-making. Caring, as a verb, emphasizes care as intention, action and labor in relation to others. Care can be understood as concern for that beyond oneself, for others and, thus, human, societal and even material and ecological relations are at stake. The question of care is also a call for questioning relationships, participation and responsibility, democratic and sustainable ways of co-existing. From this expansive societal standpoint, we could even ask who cares about design? And what should we do about it? The 8th biennial Nordes conference poses the question, “Who cares?”, exploring related questions, issues and propositions concerning responsibilities, relationships, ways of doing and directing design today. The conference takes place at a time of great challenges and transitions in many of our societies. The consequences of climate change are becoming everyday reality for many, and sustainability is increasingly an issue for design institutions to frame and value in relation to other fundamental subjects. Diversity, equality and justice are matters of increasing public (as well as personal and community) attention and concern, and we continue to struggle with how to address this in societal and institutional structures, policies and daily interactions. European and Nordic countries are transforming in socio-economic terms as previous values, economies and systems of social welfare are being restructured and redistributed in various ways. Nordic countries – and design – have long been on the forefront of addressing social, economic and environmental challenges, including design institutions, education and subjects. These can even be understood to underpin traditional concern and competencies in formgiving, making, materials and craft. More recent and explicit approaches have included human-centered paradigms such as participatory and co-design, inclusive and humanitarian design, and, increasingly, design for sustainability, transitions and social innovation, and design for services and policy. 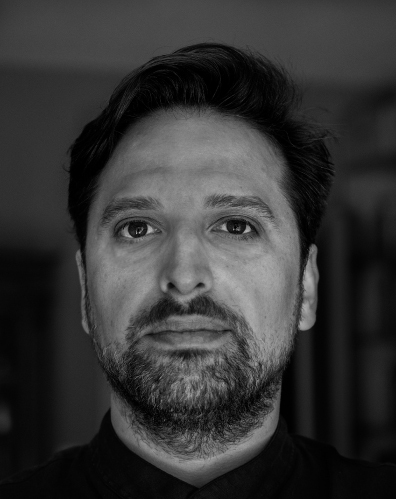 In order to address societal challenges practically, theoretically and ethically, design has engaged with areas of knowledge-making and theory-building from other disciplines, which can also be understood to challenge design more fundamentally. Ecological approaches, for example, may challenge design’s human-centeredness; and other scientific discourses can challenge preoccupation with the material and human-scale of design. At this time of socio-ecological challenges and transitions, it is a good moment for design research to engage with questions from the inside (from our practices, scholarship and institutions) and outside-in (through dialog, interaction and knowledge production with others, including other disciplines). Full descriptions of the submission categories are in the submission template. 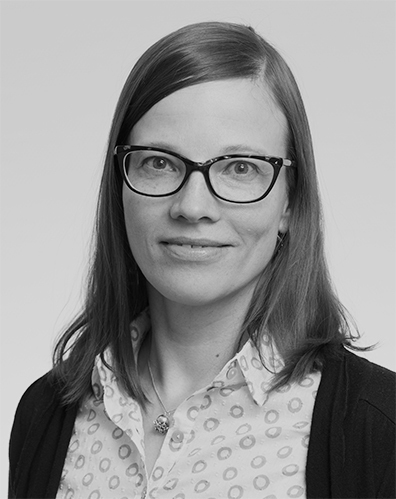 “The Ethics of Care and the Logic of the Gift” will be the point of departure for Rauna Kuokkanen’s keynote lecture. Rauna Kuokkanen is Research Professor of Arctic Indigenous Studies at the University of Lapland, Finland. Prior to that, she was Associate Professor at the Department of Political Science and Indigenous Studies Program at the University of Toronto (2008-2018). Her main areas of research include comparative Indigenous politics, Indigenous feminist theory, Indigenous women’s rights and Arctic Indigenous governance and legal and political traditions. Kuokkanen’s new book ‘Restructuring Relations: Indigenous Self-Determination, Governance and Gender’ has been recently released by Oxford University Press, and it is an Indigenous feminist investigation of the theory and practice of Indigenous self-determination, governance and gender regimes in Indigenous political institutions. 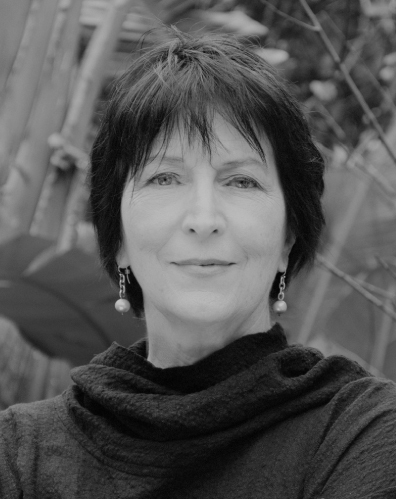 Her other books include ‘Reshaping the University: Responsibility, Indigenous Epistemes and the Logic of the Gift’ (UBC Press, 2007) and ‘Boaris dego eana: Eamiálbmogiid diehtu, filosofiijat ja dutkan’ (translated title ‘As Old as the Earth. Indigenous Knowledge, Philosophies and Research,’ Čálliidlágádus, Sámi Academica Series, 2009). Addressing the topic “Design for the Care Experience,” Lisa Nugent will share her vision on the role of design in healthcare and pharmaceuticals. Lisa Nugent is a design leader with a track record of building and embedding design teams in pharmaceutical and medical device companies. She trains and inspires teams to co-create with customers, thus ensuring products and services are adopted and loved. Lisa joined Amgen Global Marketing 2013 to form the Customer Experience team. At the Media Design Program of Art Center College of Design, she has been a core faculty member co-developing an active research environment for both students and faculty. In the RWJF-funded project HealthDesign, she and her students worked with teen-aged patients and health providers, and they saw the positive impact that design could have in the lives of people who are living with serious illness. Lisa Nugent argues that throughout drug development, from the selection of a molecule to patient support programs, designers have a role to play in pioneering research methods, improving therapy experiences and health outcomes. This is a tentative program and subjected to change. Lunch is not served on Sunday (2 June). We acknowledge that all participants have different knowledges, understandings, and capabilities. Subjective experiences through our bodily senses can be a central tool for understanding our environment and situations. We suggest that by using haptic and tactile design methods in a workshop setting, we aim to challenge normative ways of understanding and to interpret architectural and design sketches, visualizations and models. By providing alternative ways to understand a workshop material within participatory methods, does not only make the workshop experience more accessible for participants who are not used to interpret architectural sketches. It also provides better accessibility for people with visual impairments and cognitive disabilities, and, it also stretches the interpretation in general by questioning the visual and hearing norm. Service Design Meets User Experience Design: Clash or Marriage? Are you working with Service Design? UX design? Perhaps Both? Do you CARE about current unclarities between the two fields and setting some future directions together? This workshop will be the venue for you then! With the rises of UX design and Service Design, we’ve seen overlaps between the two, at the same time some arguments against each other. Digitalization drives Service Design towards digital services; UX research is moving its focus from a single digital product to a holistic system. However, the two communities have been surprisingly apart. In this workshop, we will explore intersections of UX design and Service Design, discussing similarities and differences in terms of theories, methodologies and practices, as well as the directions for future research. This workshop invites participants to map issues of caring with “public things” (Honig 2017). We invite you to bring a public thing (or a souvenir of it) to the workshop. Together, we will materially map answers and individual perspectives on public things, and open the field for further discussion. We will use the notion of public things in three possible notions: 1) as things to assemble a public around, 2) as affective things that invite different practices of care, and 3) as necessary non-human participants we care with (not only for) in the formation of publics. We are a multi-disciplinary group of design researchers and will be sharing our own experience and perspectives from public participation. The present era has seen an unprecedented rise in the movement of people across the world. This workshop will focus on the contrast between nomadic and settled, how these concepts manifest in systems and places, and the impact and consequence of mobility on systems of care and welfare. We invite participants from any discipline and varied backgrounds to share their observations, experiences, and insights, with the aim of developing an initial framework for designing with nomadic perspectives. Join us for a hands-on experience interpreting and analyzing cultural probes – a human-centered research method. In healthcare, people face a complicated landscape when caring for their health. Journey mapping cultural probes encourage self-reflection to uncover motivations for decision-making through storytelling unlike traditional question/answer research. Making people the protagonists in their health supports sense-making and sense-giving and provides new ways to improve outcomes and care. What’s your story of health? In this workshop, attendees will have the opportunity to experience a probe activity. Attendees visualize their own “Story of Health” using delightfully designed materials. Maps are anonymously exchanged, reviewed, and embodied by attendees to build empathy. Outputs are analyzed to uncover learnings and value for stakeholders and communities. This workshop offers care-oke, a singing orchestra of care, as a design method and ritual to simultaneously manifest and probe care of self, care of others, care of community, care of matters of care in collaboration. We argue that such silly-serious approaches have an important role to play in injecting vulnerability, social risk-taking, feminist ways of knowing into complex change work addressing complex global challenges. Participants will experience coming together in care-oke, and reflecting on what singing as caring can mean for design cultures and collaborations. Workshops are subjected to change or cancellation. We will provide more information soon but you may contact the convenor directly to know more about the workshop. All fees are excluded from VAT. Your registration will not be valid until you have paid your registration fee. Students (masters or doctoral) should be prepared to show their full-time student status. Fill out the form carefully. Your contact information will be used for the name badges. Online secure credit card payment with one of the following cards: VISA, Mastercard or American Express through NETS credit card service company. Cancellations should be done by email to the organizer registration2019 (a) nordes.org. For cancellations made before 6 May, 100% of the fee will be refunded. For cancellations made between 6 May and 20 May, 50% of the fee will be refunded. No fee will be refunded for cancellations made after 20 May. A processing fee of 50€ will be deducted from all refunds. Reimbursement will not be given for late arrival, unused services, unattended events or early departure from the congress. Replacement of participant is accepted by 27 May for an extra charge of 50€. The organizer will send you a letter of invitation upon request and after the conference registration payment has been received. 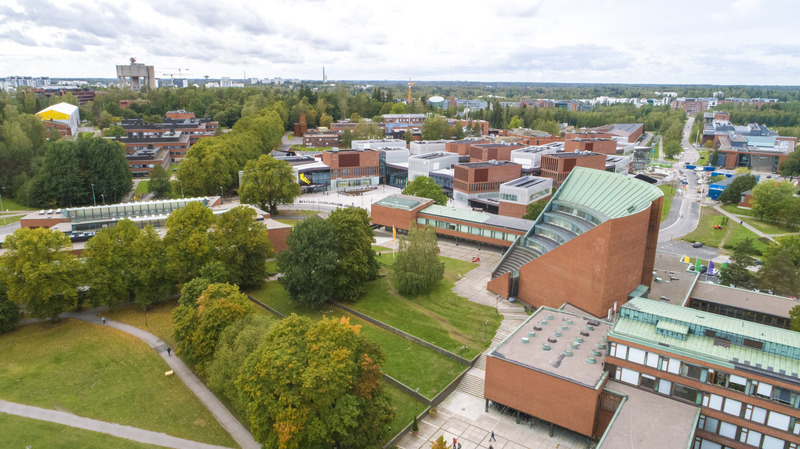 Nordes 2019 is hosted at Aalto University’s Otaniemi campus in Espoo, Finland. The campus includes historical buildings designed by Alvar Aalto, including the ‘Undergraduate Centre’ and ‘Learning Centre’, historical landmarks that have been recently renovated, and the spectacular new premises of Aalto School of Arts, Design and Architecture, Väre. 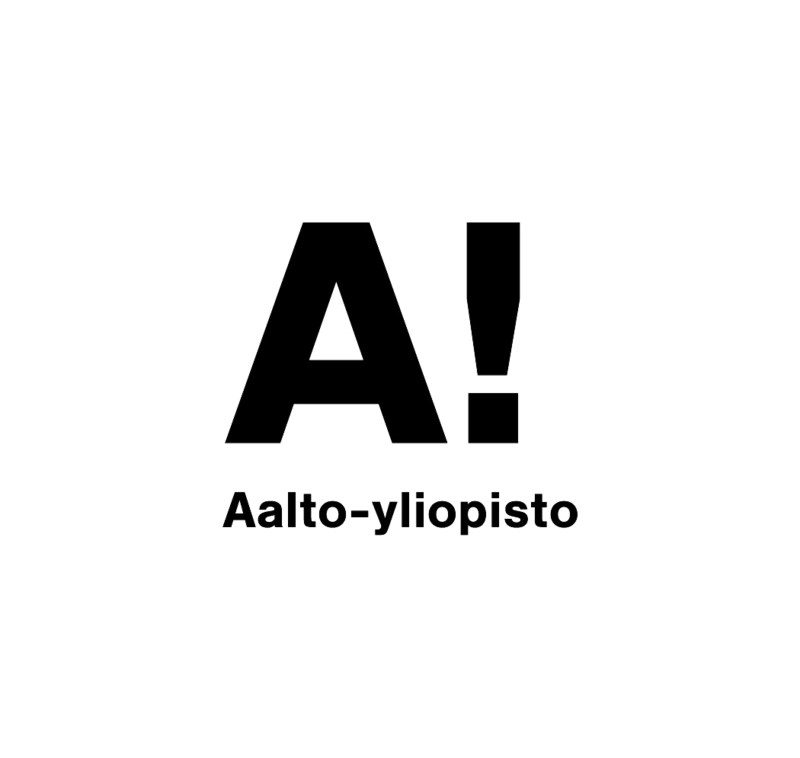 Aalto’s Otaniemi campus is located in the city of Espoo. It is easily accessible by a 20-min subway ride from Helsinki’s central railway station. Welcome to the Opening of Nordes 2019! Keynote speaker Professor Rauna Kuokkanen will lead us to the conference theme with her keynote “Care, who and where?” After the keynote, refreshments are served. Welcome to drop-in, meet-up with your colleagues as well as to register for the conference. 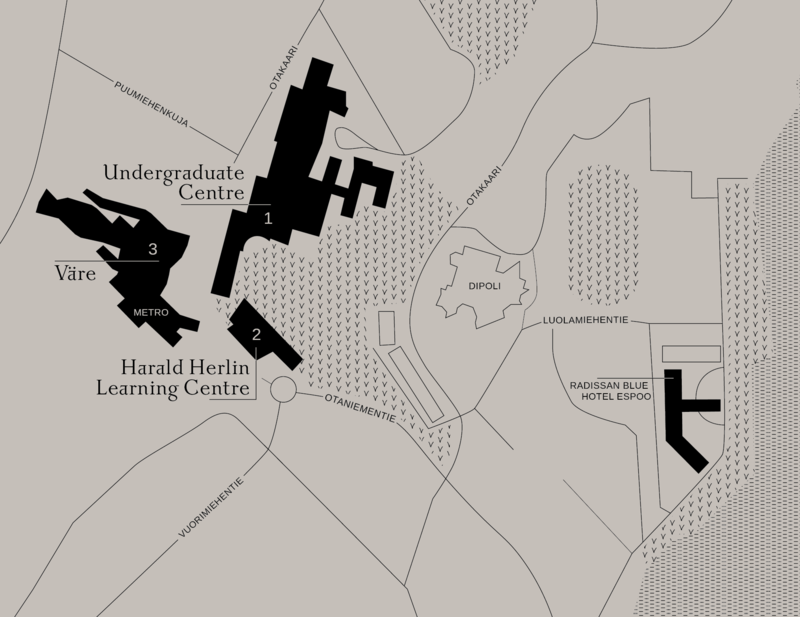 Our meeting place is the Harald Herlin Learning Centre by architect Alvar Aalto in the heart of the Aalto University campus. 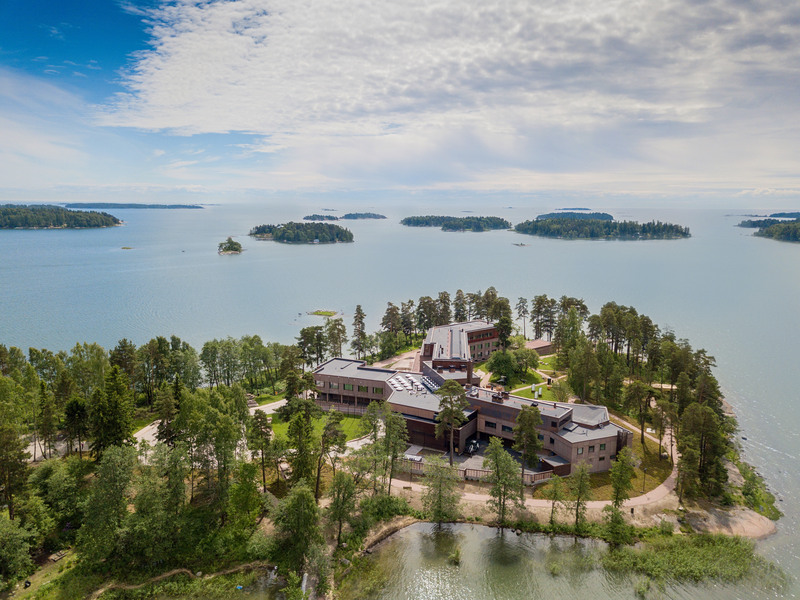 Our seaside dinner venue Hanaholmen is located on its own island on the border between Espoo and Helsinki, about 4 km from the Aalto University campus and conference venue. The mission of Hanaholmen is to convey the benefits of Finnish–Swedish cooperation and to strengthen the Finns’ belonging to the Nordic family. Echoing the conference theme, the values and mission of Hanaholmen are peace, security and inclusion; culture, knowledge and education; sustainable welfare. The attracting building features many Nordic design details. We have booked quotas of rooms from the nearby the conference venue in Espoo and Helsinki. The rooms can be booked by email or online, the quotas and prices are valid until 15 April. As Helsinki and Espoo hotels are in high demand in June, we strongly recommend early reservation. All rooms are comfortable standard category and the rates include breakfast buffet, Wi-Fi, guest sauna and VAT. We reserve the right to change rates. Please mention the reservation code when making a booking. The hotel is located along the Otaranta waterfront. The adjacent Aalto University campus and the conference venue, Otakaari 1, are within a 10 min walk. Easy access to Helsinki city centre by metro or car (15 min). The Radisson Blu Royal Hotel welcomes guests to the bustling city center. Helsinki Airport is just 20 kilometers away, and public transport hub is across the street from the hotel. Shopping, museums and entertainment are close. Nordes 2019 is the 8th biannual conference of the Nordic Design Research Society. Convened in 2005, the society is an informal net- work of people interested in design research. Norde convenes biannual conferences and, on opposite years, biannual summer schools. The conferences and summer schools are hosted and self-organized on a voluntary basis by Nordic institutions of higher education, and the location of each rotates between the Nordic countries. Interest in hosting such an activity can be made by contacting the Nordes board or by attending the open ‘Commons’ meeting that takes place at each Nordes conference. In addition, Nordes promotes the pub- lication and dissemination of design research through the Nordes Digital Archive. In addition to conference chairs, the review committee includes: Petra Ahde-Deal, Yoko Akama, Cheryl Akner Koler, Canan Akoglu, Ariana Amacker, Martin Avila, Anne Louise Bang, Eeva Berglund, Thomas Binder, Andrea Botero, Eva Brandt, Jörn Christiansson, Ashley Colley, Carl DiSalvo, Claudia Garduno Garcia, Lise Hansen, Liesbeth Huybrechts, Sampsa Hyysalo, Jonna Häkkilä, Sara Ilstedt, Mikko Jalas, Tom Jenkins, Troels Degn Johansson, Hannah Jones, Guy Julier, Masashi Kajita, Turkka Keinonen, Tobie Kerridge, Mahmoud Keshavarz, Cindy Kohtala, Ilpo Koskinen, Kristiina Koskinen, Helena Kraff, Jung-Joo Lee, Yanki Lee, Yichen Lu, Tau Lenskjold, Ann Light, Kristina Lindström, Julia Lohmann, Thomas Markussen, Tatu Marttila, Andrew Morrison, Maarit Mäkelä, Kirsi Niinimäki, Silja Nikula, Anna Maria Orru, Heidi Paavilainen, Antti Pirinen, Kirsten Marie Raahauge, Johan Redström, Joanna Saad-Sulonen, Gunnar Sandin, Tiina Seppälä, Anna Seravall, Else Skjold, Eric Snodgrass, Dagny Stuedahli, Åsa Ståhl, Mathilda Tham, Evren Uzer von Busch, Otto von Busch, Anders Warell, Bo Westerlund, Katarina Wetter Edman, Åsa Wikberg Nilsson, Ulrika Wänström Lindh and Signe Louise Yndigegn.